The LPD-12 Log Periodic antenna is rugged for harsh environments. 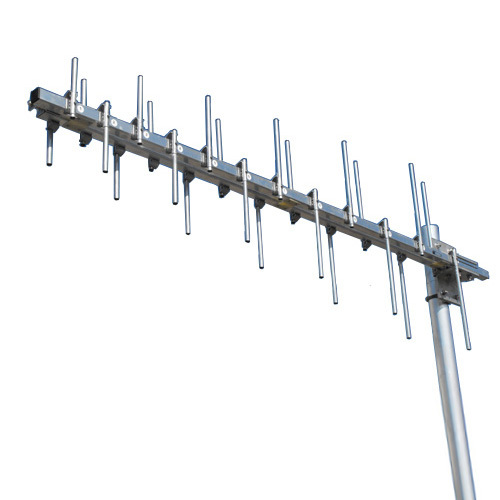 Our Log Antennas are broadband and have flat gain levels across the entire frequency range. This broadband design minimizes de-tuning caused by ice. The antennas are cantilever mounted for ease of installation. All mounting hardware is included to mount up to a 3" O.D. pipe. The antennas are made of aluminum for light weight and longevity.